The Toyota range of towing tractors provides enhanced safety and efficiency in horizontal transport and order picking operations. Allowing operators to tow palletised or non-palletised loads, our towing tractors are suitable for indoor and outdoor applications, including production lines, cross-dock logistics, airports, railway stations and ports. The Toyota range of tow tractors suit a variety of needs regarding travel distances, towing load intensity, and frequency of use. 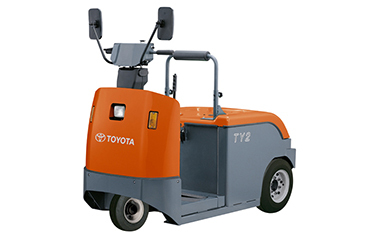 Ideal for horizontal transport over long distances, the rider-seated electric tow tractor under the Toyota 4CBT-series offer towing capacities from 2.0 to 4.0 tonnes. Ergonomically designed to maximise driver comfort, these compact models offer easy entry and exit and car-like controls. Pneumatic tyres improve truck stability for indoor and outdoor applications and a rounded rear chassis provides better load visibility. 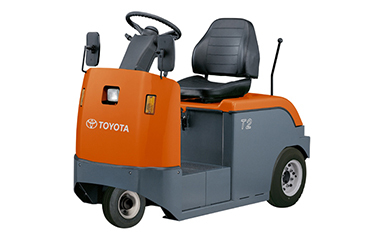 With the 4CBTY-Series, Toyota offers its state-of-the-art technology, such as the powerful AC power system, making your distribution operation easier, more efficient and comfortable than ever. 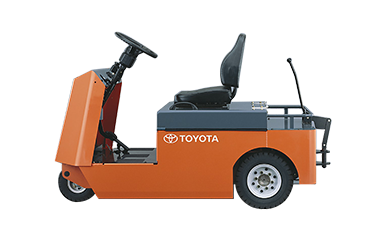 Compact towing tractors (Sit-down type) under the Toyota CBT Series enable easy long-distance transportation of large quantities of materials. 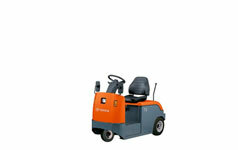 These tow trucks provide operator-friendly superior maneuverability and operability for horizontal movement of goods.